Maharashtra Postal Circle had released latest Notification No: Rectt/2-8/Postman-MG/DR/2014 dated 24/01/2015 advertisement for recruitment of 2426 posts of Post Masters and Multi Tasking Staff Posts in all over the state. ONLINE applications are invited for 2426 vacant posts in Maharashtra Postal Circle on the official website till 18th February 2015. To know about age, qualification, pay scale and grade Read Detailed Advertisement, Click on the direct link provided below for detailed advertisement. · Read the GUIDELINES before filling ONLINE application form. · Click on the direct link say Apply ONLINE for Stenographer Posts. · Fill ONLINE Application form (don’t leave RED star mark columns). · Mobile No. is mandatory Column to be filled by the candidate on which password will be sent by Organization. · Click on submit button for Registration of Step I. · Select the payment Bank for Payment of Application Fee. · Select the Mode of Payment ONLINE or E-Challan. · Attach Scanned colored photo and signature as asked in prescribed size. · Enter the other required field mentioned on screen. · Click on submit & lock button. · It will process your application form for final submission. If it goes all correct it will show you a massage of Submitted Successfully. The Exam will be conducted on Pen Mode. In Pen Mode there will be OMR sheet which will be filled by Blue/Black ball point pen. The question paper will be provided in bilingual language i.e. Hindi or English. There will be a multiple choice questions paper containing subjects English/Hindi (25 questions of 25 marks), Regional Language (25 questions of 25 marks), Mathematics (25 questions of 25 marks) and General Knowledge & General Awareness (25 questions of 25 marks) questions. The total marks for exam will be 100 marks of 100 questions and duration will be 2hrs i.e. 120 minutes. · Reach the venue of Interview 30 minutes before the time mentioned. · Bring computer generated online application, result print, original documents original along with one set of self-attested of all the documents to the venue of interview. · Address proof i.e. PAN Card, Ration Card, Aadhar Card, Voter card or Driving License. 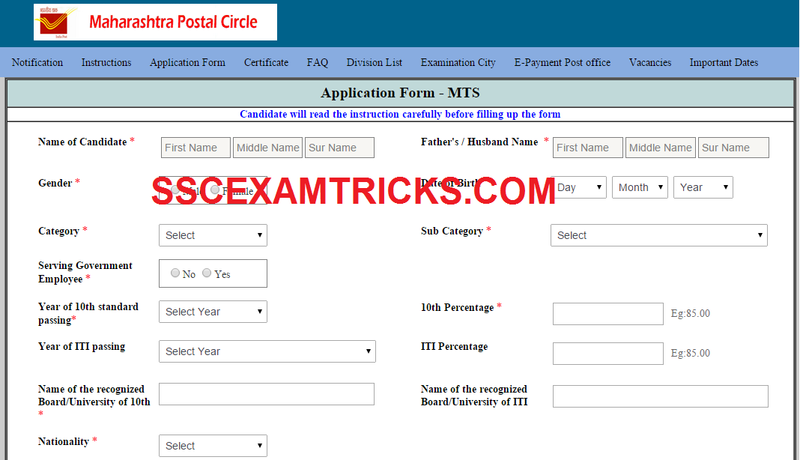 · Bring Caste/PWD/EXS certificate to claim for seat available for reserve category. The list of Final Selected candidates will be released on the official website of DOPMAH.